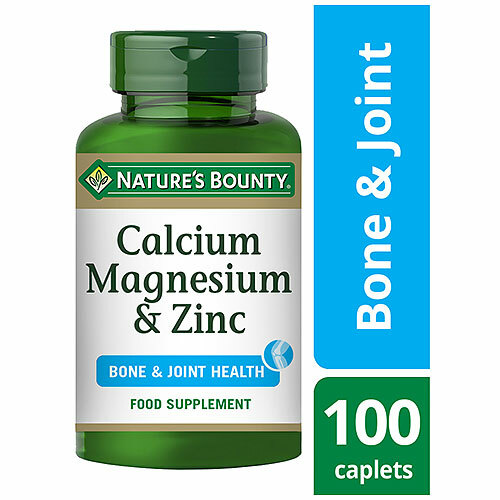 Nature’s Bounty Calcium, Magnesium & Zinc food supplement is a combination of three essential minerals for muscle and bone health, delivered in convenient, easy to swallow coated caplets. 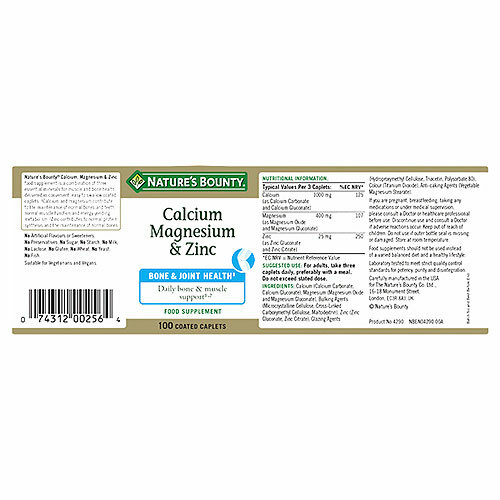 Calcium and Magnesium contribute to the maintenance of normal bones and teeth, normal muscle function and energy-yielding metabolism. 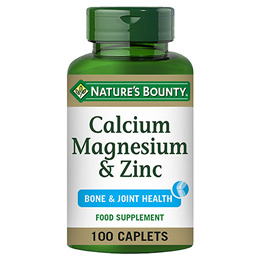 Zinc contributes to normal protein synthesis and the maintenance of normal bones. For adults, take three caplets daily, preferably with a meal. Do not exceed stated dose. 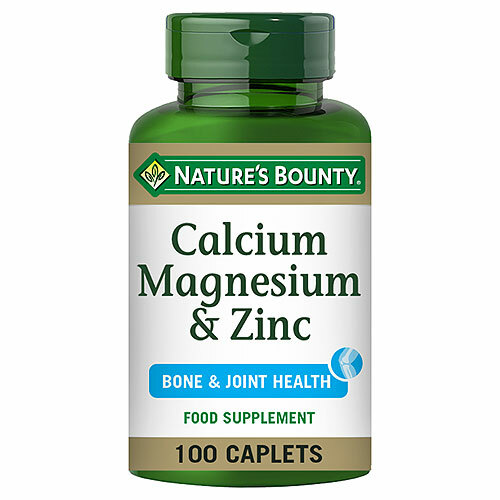 Below are reviews of Nature`s Bounty Calcium Magnesium & Zinc - 100 Caplets by bodykind customers. If you have tried this product we'd love to hear what you think so please leave a review.